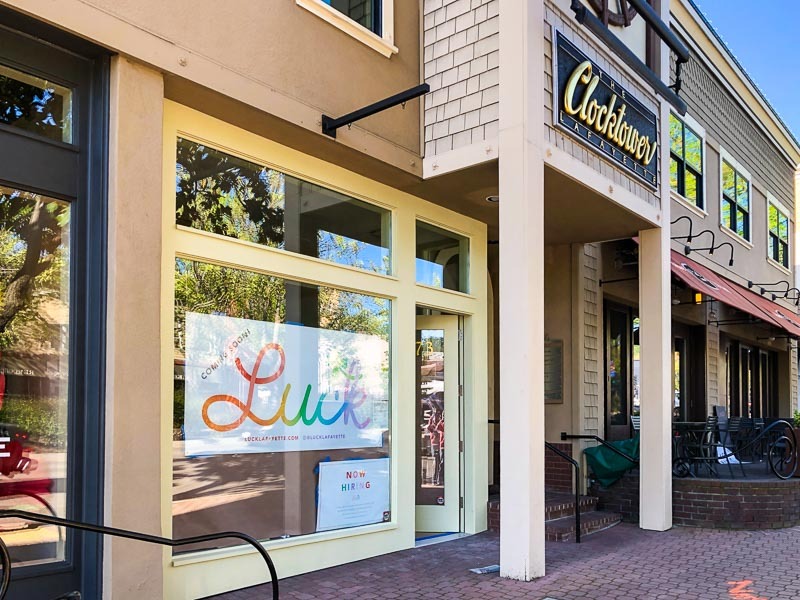 The “high-end clothing and lifestyle boutique” Luck that opened last December at Lafayette Forge is relocating to the Lafayette Clocktower where Radio Shack used to be. Check out the clothing, shoes, jewelry and lifestyle brands they carry here. 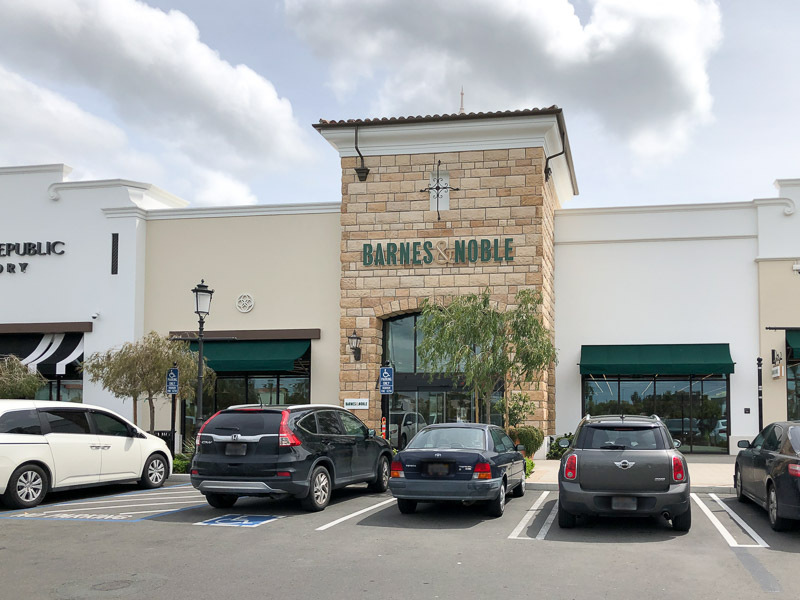 They are scheduled to open in their new spot by the end of May. 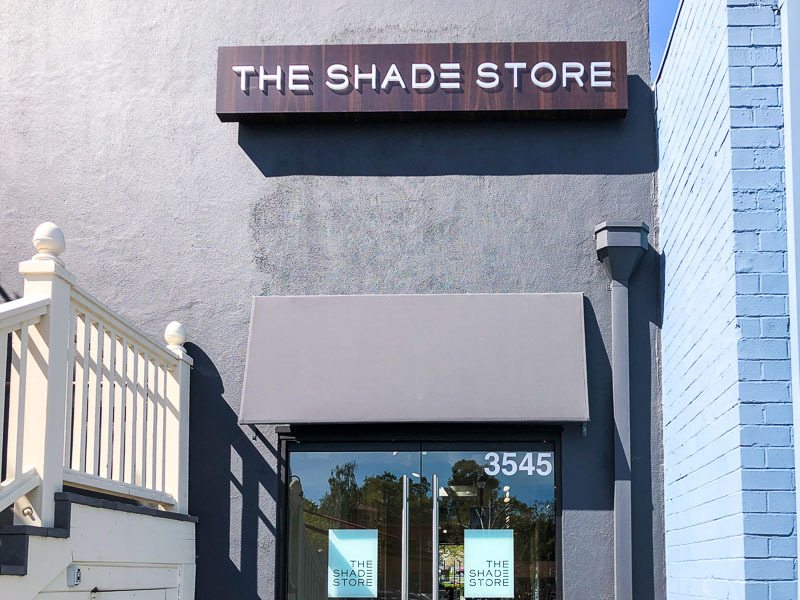 The Shade Store opened recently at La Fiesta Square in Lafayette where the ice cream shop Smitten used to be. Check out their online gallery here. A cute, new children’s boutique called Myara opened recently in the Lafayette Clocktower where the piece. store used to be. 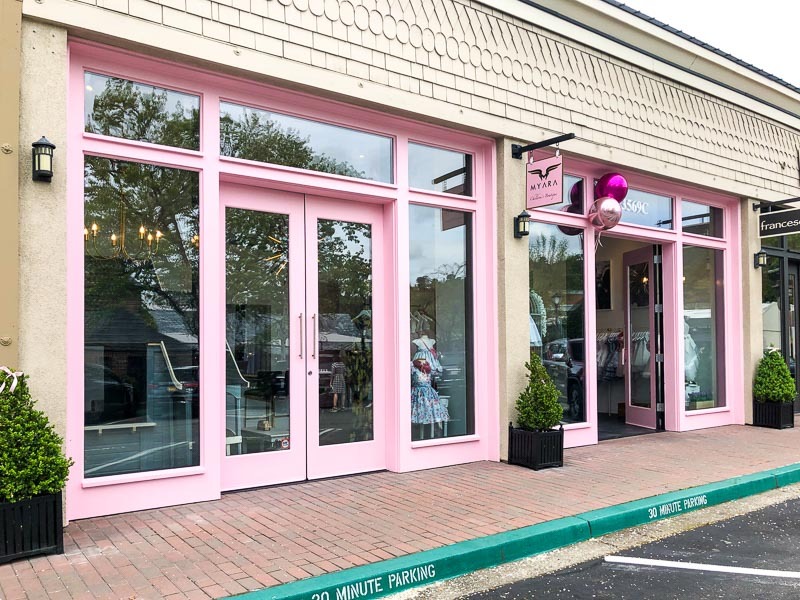 This boutique features clothing, shoes and accessories all designed by the owner (a local Lafayette resident) and produced by partner seamstresses in Turkey. This Saturday, April 13th they are hosting a free “make your own bunny ears” Easter event so if you have little kids and are in the area I highly recommend you drop by to check out their shop to see the gorgeous products they offer and meet the designer/owner. 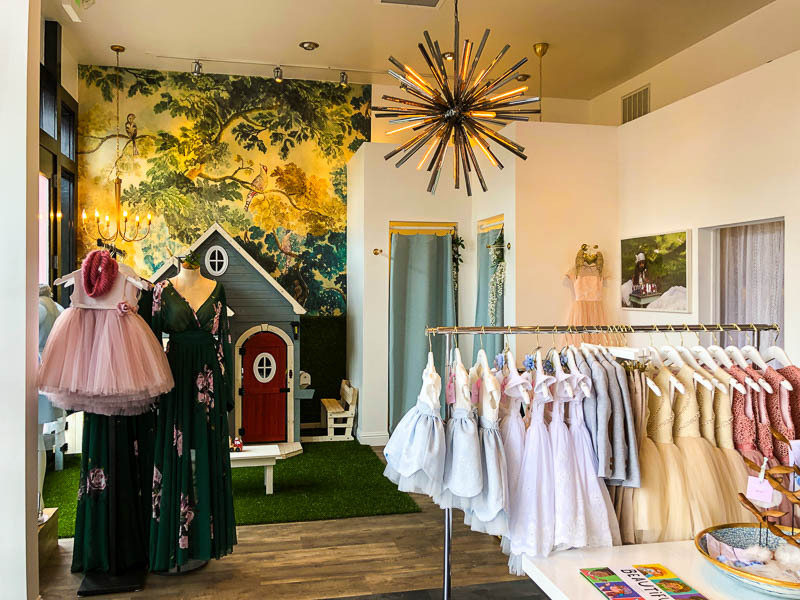 Myara is a children’s boutique based in Lafayette, California (in a family town outside San Francisco). We design our own clothes. Our head designer, Sunny, designed for top brands and always wanted to create a boutique where family members could come, sit, have coffee, connect, and start a fresh chapter of their child’s lives with a piece that speaks to them. After starting a family in the town she found home, she created that boutique and named it after her grandmother, Rya. Myara is a place where mothers and their children to deeply enjoy one of the blessings of childhood: dressing your child. 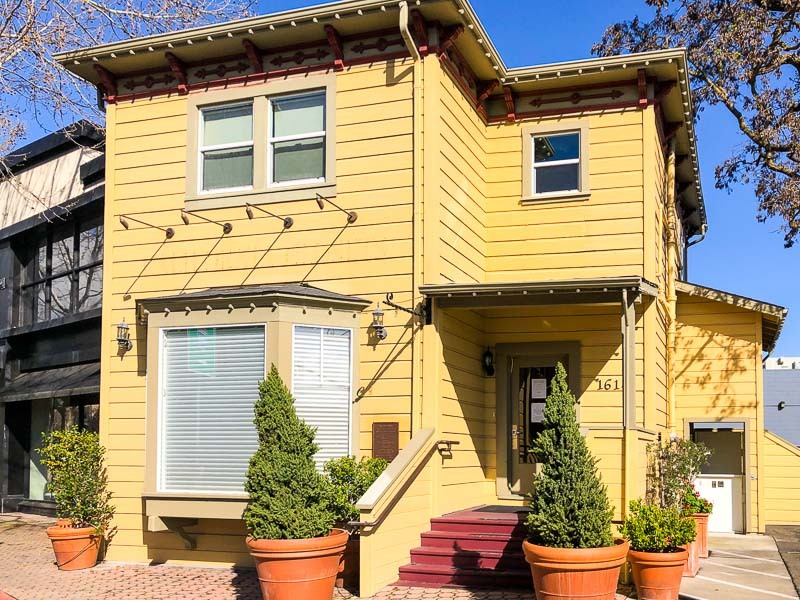 Rather than filling rack after rack, Myara is a place to sit, have coffee, let your child play in the playhouse, and connect. Let us get to know your needs and the story that your child’s tells. Let us show you what sets our pieces apart. And, we can always make something just for your little one. 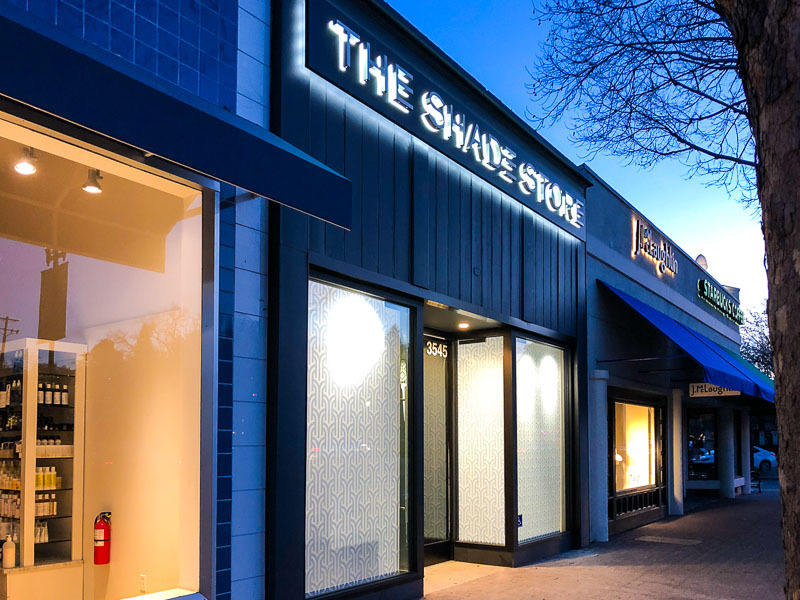 Last month we learned that California Closets would be closing in downtown Walnut Creek in the historic Dole House with the possibility of Warby Parker opening in its place and based on recent job postings we know that Warby Parker will be opening a showroom most likely in this location. Check out their selection here. 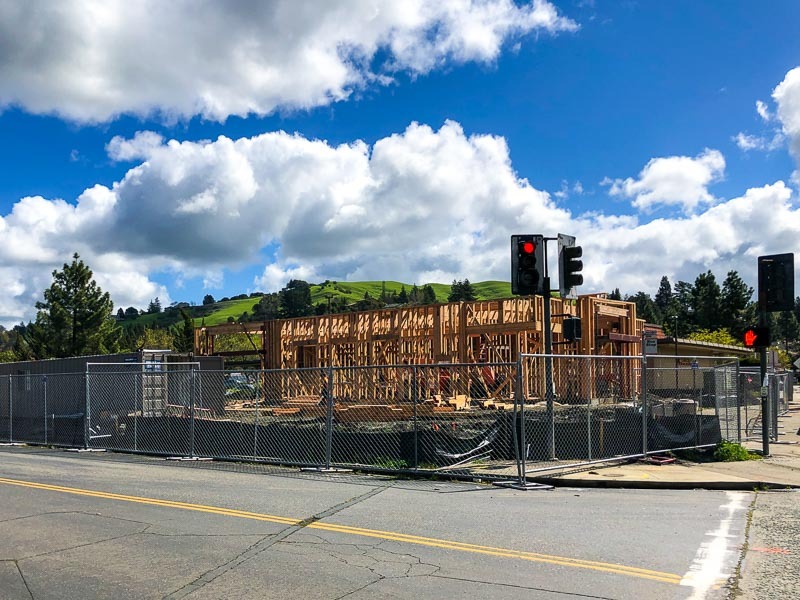 Wells Fargo will be getting a little more competition soon as a new Chase Bank is coming right next door near Safeway in Moraga. According to the Moraga town council news this is the, “first major new commercial construction in Moraga in several years, and will provide more convenient services for Chase’s approximately 3,400 Moraga account holders.” Presumably they’ll also want to increase that number being that they’re situated so close to Wells Fargo. 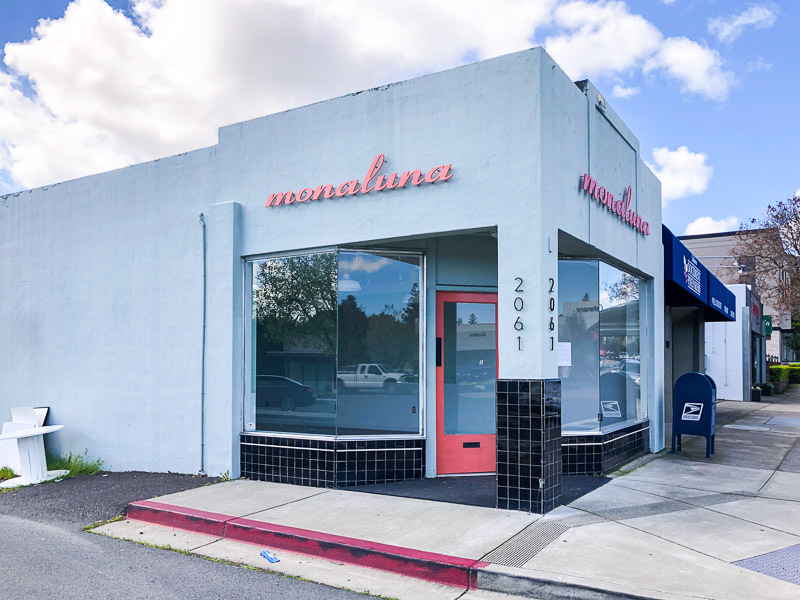 The organic fabric shop Monaluna which opened a few years ago in downtown Walnut Creek on Mt. Diablo Blvd. has closed. 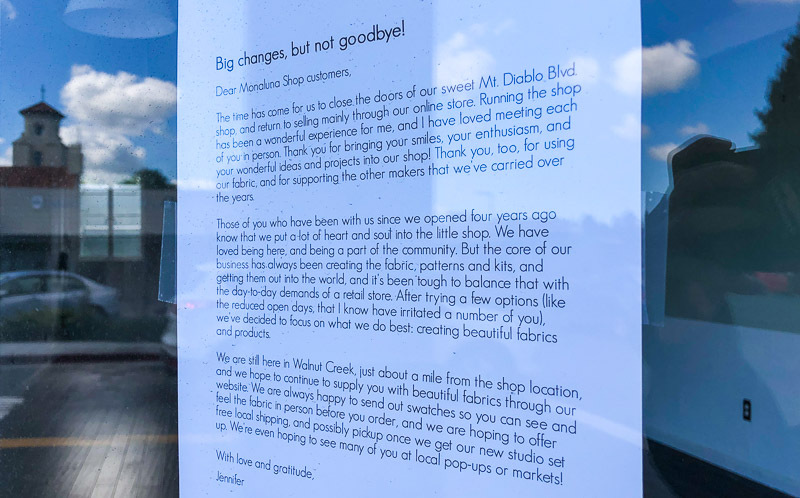 However, according to a letter in the window they are still creating fabrics and products in Walnut Creek, about a mile from this location, which be available on their online shop here. They will also be visible at local pop-ups and markets and once their new studio opens they also may be offering free local shipping and pickup. 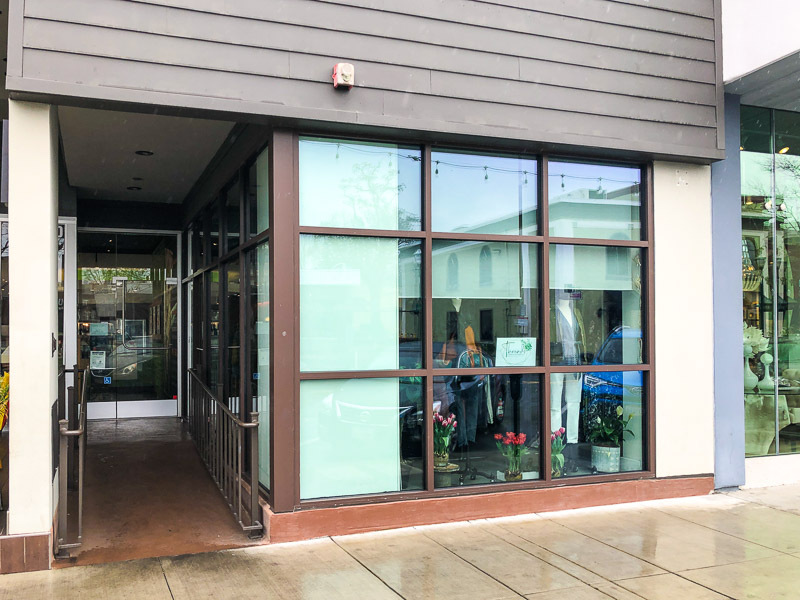 Threads Consignment recently relocated to a more visible spot within downtown Walnut Creek next to Veggie Grill where Urban Remedy used to be. 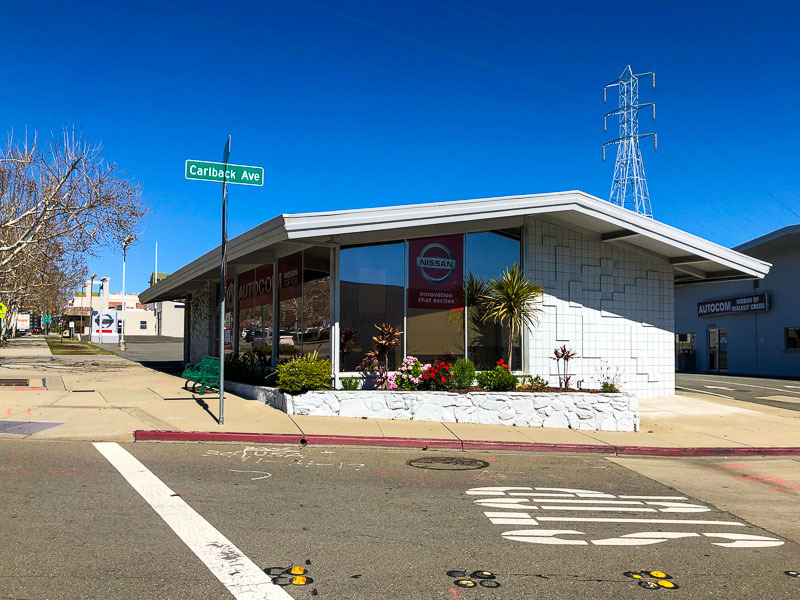 Thanks to a reader for sending word that the Nissan dealership on N. Main St. near Target has closed. Their website redirects to the Concord dealership. 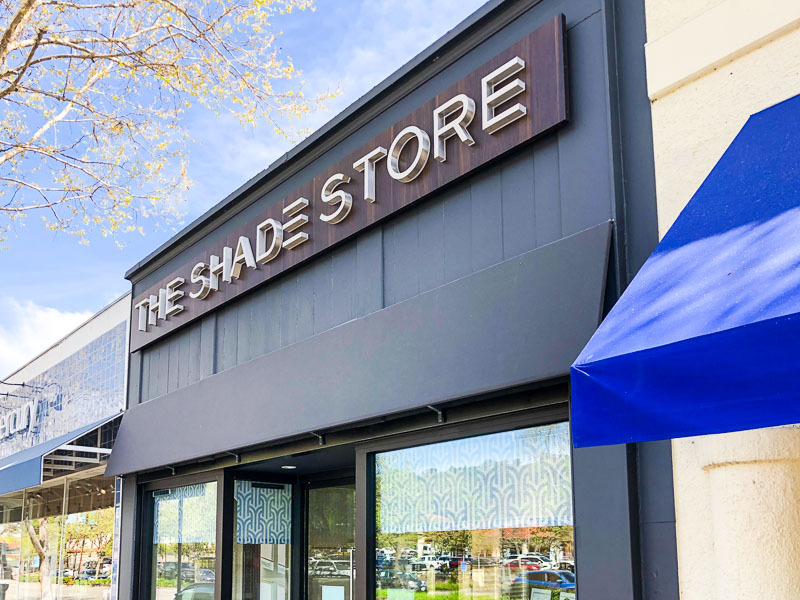 Late last year we learned that The Shade Store would be coming to La Fiesta Square in Lafayette and they now plan on opening early April, possibly on April 5th. The storefront is particularly visible and bold at night as I’m sure people who drive by see. Check out their online gallery here.